Welcome to Sunday Spotlight. Our guest today is Janet Lee, whose novel The Killing of Louisa was recently released by UQP. What was it about Louisa Collins that inspired you to write a novel about her? When I read newspaper articles about the terrible botched hanging. When Louisa Collins stood on the scaffold and the lever which was supposed to open the trap door was pulled, the door didn’t budge. The pin holding the trap door was still in place. I imagined her last few moments, when she was listening to the pin being bashed out with a mallet. I carried that scene around with me, then I wrote it down, and the book grew from there. I imagine the research for this novel was extensive. Was there much information about Louisa’s cases readily available? Of the information you did find, how impartial was it given the context of the era and the simple fact that she was a woman accused of killing her two husbands? How did you balance the demands of getting the facts right with telling a good story? There is actually a lot of information available about the real Louisa Collins. I first heard the story of Louisa Collins when I attended an author talk at the NSW State Library. Caroline Overington was speaking about her non-fiction book Last Woman Hanged. Overington has done a tremendous amount of research about the real Louisa Collins. When I went looking, I found that the story had been told in newspaper articles, in books and book chapters. And I think earlier this year there was also a play in Sydney. I researched through Trove, that wonderful online treasure available through the National Library of Australia, and then I accessed a research file held at the Bayside Libraries Community History Collection. I visited the New South Wales State Archives and they have many items relating to the inquests and trials. They also hold other documents relating to Darlinghurst Gaol. There are documents relating to the period held in the Mitchell Library at the State Library of New South Wales. Archives and libraries are just the most incredibly exciting places. I also took a tour of the former Darlinghurst Gaol, now the National Art School, and I visited the Darlinghurst Court house. Those places really brought the story alive for me. And I drew upon visits to historic sites including the Melbourne Gaol, the Tench in Hobart and Susannah Place, Sydney, for inspiration. I tried not to stray too far from known or reported events, but this is fiction, and so I imagined a lot and I strayed nonetheless. How much planning do you do ahead of writing? Do you plan / plot the entire story from beginning to end, or let it evolve naturally as the writing progresses? I am definitely a ‘pantser’ not a plotter. I don’t plan ahead very much, regardless of whether it is a short story or a longer work. I tend to have an idea, or sometimes two, and I go from there. That being said, in The Killing of Louisa I did have a bit of a structure, because I knew how the story would end, but I wasn’t entirely sure how I would get there. The new piece I am working on is a bit of a muddle, but I am just enjoying the writing and I will wait and see what the characters do. In terms of character, was Louisa already a firm picture in your mind before you started writing or did she develop a personality of her own as the story progressed? Probably a bit of both really. I had an idea of my character Louisa, from research about the real Louisa Collins, but I got to know my character better the more I wrote about her. Sometimes we know people only as ‘one story’, but people and characters are never just the one story, they are always more complex. I found putting the character in different situations and seeing how she reacted developed her personality. The first thing which came to mind when I read this question was how thankful I am for the wonderful Australian authors whom I have read, met, or had the opportunity to learn from at festivals, workshops and author talks. I have a very supportive family, whatever I am doing, so that has had a big impact on my life in general. I know how blessed I am and I am very grateful. I have quite a collection of old jelly moulds. Jane Austen, and I would also like to meet her sister Cassandra. I read a bit of everything really, but I particularly like short stories, non-fiction and historical fiction. Often if I read an historical fiction, then I might head off to find more details about that period and will read quite a bit of non-fiction. 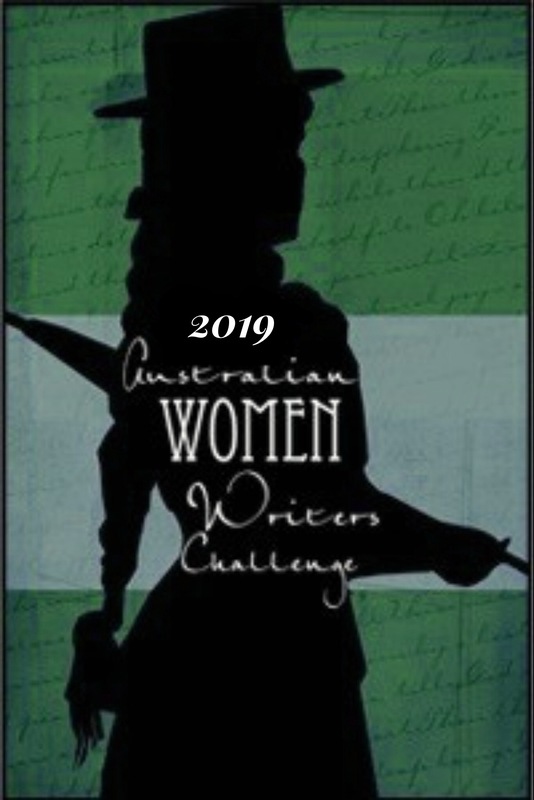 There are so many wonderful authors that I find it hard to choose, but a list of my favourites would have to include Jane Austen, Thomas Hardy, Peter Carey, Geraldine Brooks, Tracey Chevalier, Margaret Atwood, Robert Drewe, Helen Garner, Anita Shreve, Cate Kennedy, Kate Forsyth and Kimberly Freeman. Some recent favourite reads would include Melissa Ashley’s The Birdman’s Wife, Grantlee Kieza’s Mrs Kelly, Dervla McTiernan’s The Ruin, Sofie Laguna’s The Choke and Kim Scott’s Taboo. 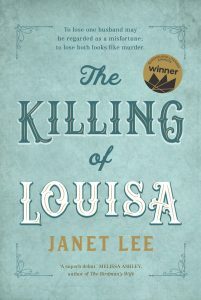 Janet Lee’s first novel, The Killing of Louisa, has just been published by University of Queensland Press. 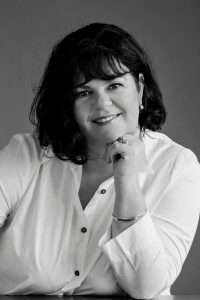 She lives in south-east Queensland with her family and is currently working on a second novel. Another great Spotlight. And this sounds like a fascinating story. Thanks Karenlee. It’s a book getting some terrific reviews, so reading these combined with the interviews has peaked my interest.